The Museum of Jewish Heritage – A Living Memorial to the Holocaust offers unparalleled space rental opportunities in a lower Manhattan setting that is at once beautiful, meaningful, and inspirational. 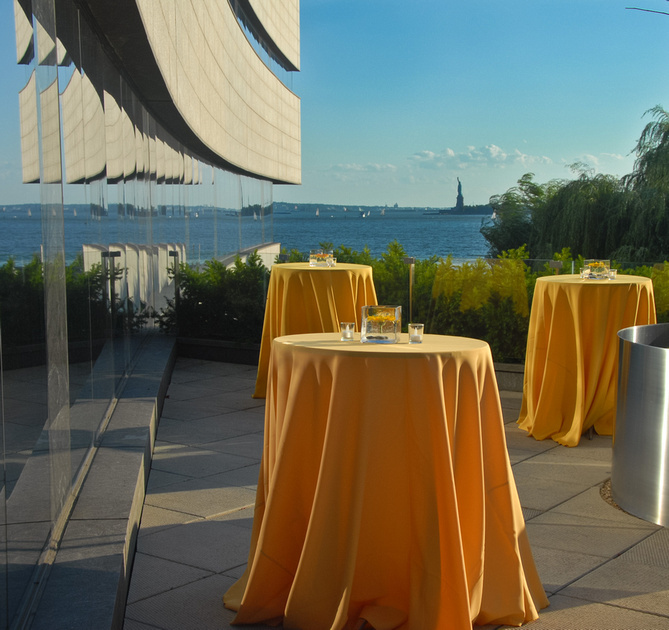 Breathtaking views of New York Harbor are the backdrop for your corporate event, intimate party, or large gala. We offer versatile spaces for highly personalized event experiences including celebrations of significant life events. You might consider us as a venue for conferences, special events, weddings, performances, film/commercial shoots, theater presentations, and more. Visit our Event Space Photo Gallery to see the Museum’s event spaces personalized for individual and corporate functions.